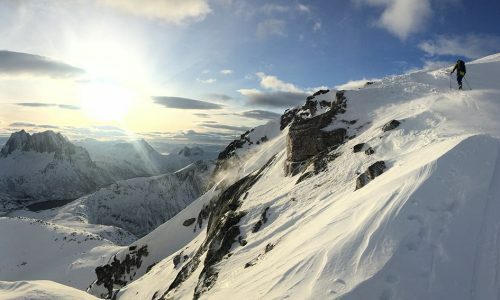 Backcountry skiers who want their beacon to bring peace of mind through simplicity, the Arva Axios is not for you. For a single victim search it is as good as any other modern digital beacon but if the Boy Scout in you demands you be a beacon searching pro prepared for mass carnage then Axios provides the range and tools to let you search and define where to start digging with speed and precision. It requires a fair amount of practice to learn all the nuances, owing in part to a manual that glosses over details millennials will inevitably discover but boomers will miss without detailed directions, like how to switch to analog mode. 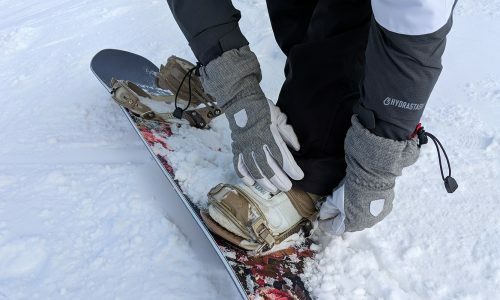 The Arva Axio takes the best of the Arva Neo – an avalanche transceiver that handles multiple signals with calm aplomb – and extends the range. But this added range comes at the expense of ease of use. For those who need the range, and want the ability to customize the response, Axio might be your dream beacon. When it comes to detecting the faintest of signals, Arva’s Axio currently sets the high water mark. I’ve picked up a signal as far away as 80 meters, but never consistently and it certainly won’t lock on to the signal that far away. That doesn’t mean that a lone blip on your beacons radar is wrong, but it isn’t strong enough for long enough to say anything about distance or direction but that probably overstates the problem since in a real avalanche incident the path already gives a sense of direction. By the time you’re 65 meters from the signal, Axio has usually locked on and it wasn’t unusual for it to be locked on by 70 meters in single victim scenarios. Even in the case of a vertical burial Axio could detect and lock-on 50 meters away. This extended range is why Arva claims an aggressive search strip width of 60 meters (30 meters on either side of you). Most beacons claim a search strip width of 40 meters or less. Again, the large third antenna is the basis for this range improvement. Unfortunately, this expanded range seems to come with an increase in noise that shows up as twitchy direction arrows. It is more pronounced the further away you are, or in the case of multiple signals, ever present. For basic functionality, the Axio is relatively intuitive. To turn it on, press the power button on the left side. To start searching, flip open the red antenna folded into the right side. Once you get a signal, you go in the direction of the arrow as long as the distance is decreasing. This is where that twitchiness can throw you. If you’re 60 meters away and the arrow says traverse hard left but the avalanche path clearly goes straight down, then use your head and bear left as you descend. Inside of 40 meters, the direction arrows are more stable, except in the case of multiple signals that occasionally overlap. When you’ve located a beacon, pressing the red joystick will mask the closest signal and then point you toward the next closest. In a practice situation, you can mark a signal when you’re within 3 meters (or 5m) but don’t forget in a real rescue you don’t flag a signal (causing it to be ignored) unless you have a probe strike for that victim. To turn the beacon off, hold the power button down about 2 seconds, or until it shows OFF at the top of the display, then give the joystick a center press and it’ll shut down pronto. Once Axio locks on to a signal it will emit a single beep that gets higher in pitch until you are within the FINAL distance (3 or 5 meters). From there the beeps double up, coming in bursts of two that, again, increase in pitch as you get closer. By default, this function is turned on. After going through the start-up procedure Axio gives the user the option to check the transceivers in the group. To perform a group check, deploy the third antenna while GCHECK is displayed at the bottom of the screen. With the Z-antenna extended the beacon is in receive mode, and the group check function limits range to one meter. After checking each members beacon in the group, you simply give the joystick a center press before moving on to the next one. If the detected beacon has a frequency deviation the screen will indicate that and that person’s beacon should be replaced. Beyond the basics, Axio is challenging to learn for two reasons. First, the manual is an abbreviated user guide masquerading as a manual. 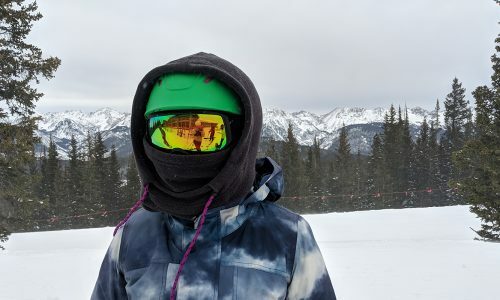 It misses the clarity seasoned skiers expect for explaining half a dozen advanced features not to mention which way to move the joystick to see the options available and select them. Younger users weaned with a smartphone will figure it out for customization but gummers like me will require more time and practice to make the key functions reflexive in a real rescue. In the Config menu pushing the joystick down advances to the next option, left or right changes the setting. A center push selects the option shown. Toggling the power button kicks you out of the menu and back to send. Look for a more detailed manual on Arva’s website sometime in the future. There are six features you can modify. BACKSend – This an auto-revert to send function. Selectable between OFF, 2, 4, or 8 minutes – default is 4 minutes to auto-revert. SCROLL – turns on or off the ability to select which of multiple signals to focus on. The default is OFF. FINAL – the distance from the victim to reliably isolate and mark/flag (ignore) a signal: 3m or 5m. The default is 3m. GCHECK – whether or not you want the option to do a group check after powering up the beacon. 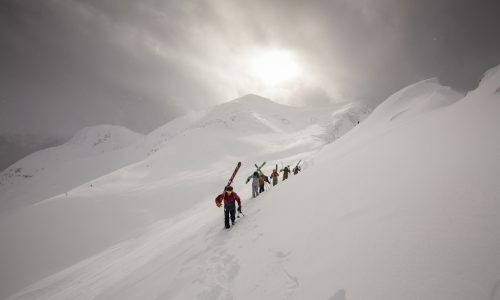 STANDBY – this function is for pros who are regularly involved in search and rescue. It allows the beacon to be put into neutral, neither sending or receiving, with a selectable auto-revert time limit of 2, 4 or 8 minutes. The default is OFF. Reset – resets all options to factory default settings. To Arva’s credit, the analog mode is an advanced function that doesn’t need to first be turned on in the Config menu. Just press the power button momentarily when you’re in search mode and it will toggle into Analog mode. There are nine levels in analog mode and while the display no longer indicates direction it still shows the distance to the closest signal on the screen. To turn the level up, push the joystick to the right, to turn it down, push left. If Axio thinks the level is too high or too low, it will indicate so with arrows to the left (turn it down a notch or two) or right (turn it up) of the distance reading. For those unfamiliar, the advantage of an analog response is speed when bracketing to narrow down where to start probing. When a transceiver is in the analog mode it hears and emits an audio beep in real time that gets louder the closer you are. By real time I mean it is only “on” when the transmitting beacon is actually sending out a signal. There is no delay due to digital processing, either in the strength of the signal (how loud it is) or timing. With digital processing, to be accurate, you typically have to wait a few seconds for the strength of the signal to settle in each position. In theory, Axio can indicate and keep track of up to five separate signals provided they have minimal overlap in their timing. In general, Axio didn’t indicate the presence of additional signals until they were less than 20 meters away, which is a noticeable improvement over Neo. In presence of other signals Axio maintained focus on the strongest signal and once that was found and flagged (by pressing the joystick) it immediately switched to the next strongest signal. Axio offers a SCROLL feature where you can select which signal to focus on, but I was unclear in scrolling through the available icons which one corresponded to which signal? For pros with lots of practice time, this might be valuable, for the rest of us, I don’t see much value in this function on any beacon. 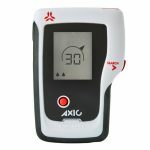 If you’re a guide or a member of a search and rescue team Axio has a stellar range and a host of advanced features that you will appreciate. 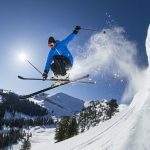 For most backcountry skiers the extra features are not needed for single or two-victim scenarios and it works great in default mode. The difference in cost and function between an Axio or Neo can be justified if you’re familiar with using analog mode and know that it can save you time in the final phase of a search. 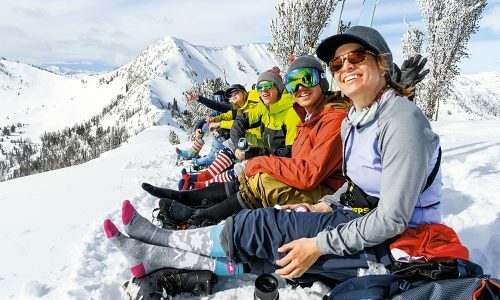 Craig Dostie is a veteran ski industry writer who shares his 30 years experience climbing and skiing the mountains on EarnYourTurns.com.